For nearly 50 years Packaging Design Corporation has been one of the leading manufacturers in custom branded packaging, E-Commerce Subscription Packaging, Custom Branded Point of Purchase Displays, Custom Corrugated Boxes, and display packaging. We are a family owned organization that emphasizes high-quality, innovation, and customer service. We are located just outside of Chicago, but we will fulfill your distribution needs across the country. If you have any questions on how Packaging Design Corporation can help with your packaging needs or if you have any questions about our wide variety of services, call us today at 630-323-1354. You can also email us at info@pack-design.com or fill out the easy to use contact form on the right and one of our helpful associates will get back to you shortly. Here at Packaging Design Corporation, we are fully committed to providing your organization with crucial services you need to help you display and sell your product. Our goal is to design one of a kind, visually appealing displays and packages that will help boost your brand’s reputation while engaging shoppers and encouraging impulse purchases. We greatly emphasis safety in regard to your product because we realize that nothing is more important than keeping your products safe and secure. Our corrugated shipping boxes can be customized to fit your product to ensure that it is protected throughout its journey. 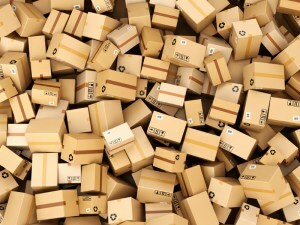 If your packaging is not secure, your products can be damaged during shipping and that can adversely impact your brand’s image and can cause a financial loss that your company does not need to incur. At Packaging Design Corporation, we are always looking for ways to refine our methods to provide you with the most innovative and highest quality products, while saving you money. If you have any questions about our packaging design services or if you would like more information on our products, call us today at 630-323-1354. Or you can email us at info@pack-design.com or fill out the contact form on the right and we will respond shortly.